In today’s world of economic uncertainty and job insecurity, you need to take charge of your career. Our passion is helping individuals unleash their greatest potential, fulfill their career goals and reach unbelievable heights. At Career Heights, we create achievement based Applicant Tracking System (ATS) friendly resumes that get you multiple interviews, and we coach you on how to successfully turn job interviews into job offers. Career Heights also provides LinkedIn profile upgrade services and interview, career and life coaching. Additional writing services include cover letters, thank you letters, professional biographies and editing. Career Heights works with clients across various industries including IT, Banking, Finance, Oil & Gas, Energy, Manufacturing, Healthcare, Retail, Aerospace, Academic, Telecommunications and Consulting. We also take pride in working with military veterans transitioning into civilian jobs. We collaborate with business leaders and employees to create business solutions that improves business performance, employee productivity and engagement. 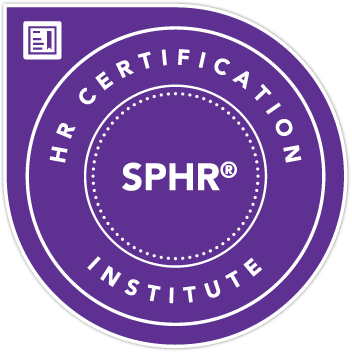 We offer human resources consulting services in HR administration, HR business partnering, employment law, employee engagement, benefits administration, payroll, change management, leadership coaching, talent management and recruitment to small, mid and large size businesses. Contact us for speaking engagements on career development and employee engagement. Additional writing services include business biographies, feature articles and blog posts. Career Heights was founded by Ochuko Dasimaka (Kuejubola). She is a highly accomplished Human Resources Professional, Resume Writer and Career Coach with over 16 years’ experience in oil and gas, manufacturing, legal, retail and academic industries. She is a Certified Professional Resume Writer (CPRW), Senior Human Resources Professional (SPHR) and a Society of Human Resources Management Senior Certified Professional (SHRM-SCP). She is a Forbes HR Council Member & Contributor and has a Bachelor’s degree in political science with an Honors in English Language. She also has a Master’s degree in Business Administration with a Human Resources Concentration (MBA HR). Ochuko is happily married with 3 lovely kids. She loves to read, write, sing and travel to exotic places.